Changing customer behaviours, online and mobile migration, fintech and digital disruption, legacy systems, outdated, the death of the high street. Phrases often used to explain why the bank branch will soon be consigned to the history books. The reality underpinning the prediction is not so clear though. There have been unprecedented numbers of branch closures. But many banks, and perhaps most importantly their customers, still have confidence in the need for a bricks and mortar presence. So, let’s step into the branch of the future to see what’s ahead. McKinsey & Company research found that the human touch is still important to bank customers in most markets. Take the UK for example. The study showed that just 13% of customers prefer doing everything remotely. 31% prefer branches or ATMS for all their needs because trust is low in banks and financial systems. 19% simply prefer using branches or ATMs for all their needs for a variety of other reasons. This group includes low-tech seniors. The rest prefer a mix of digital banking and face-to-face interactions. McKinsey discovered the trend carried across most markets. Research by Samsung also showed that the human touch is important. Its study found that customers are happy using digital for quick transactions. However, 77% of customers prefer face-to-face interactions with their bank for more substantive conversations. Customers tend to want the best of both worlds – a hybrid digital / physical experience to manage their money and plan their financial future. In an omnichannel world, the branch is still an important service and sales channel. The quality of the branch experience can make or break a relationship. While customers prefer their branch for more involved transactions and conversations, a poor experience can put them off. Or make them switch providers. The Samsung study found that the biggest complaint was unprepared bank staff at 68%, followed by long wait times at 56% and impersonal service at 49%. The branch of the future needs to fix these problems. The customer experience bar is being set by the best experience on offer. Inside and outside the sector. Gold standards come from brands big and small – from Amazon or a neighbourhood store. Shep Hyken believes that convenience is one of the biggest trends in customer experience. Time has become a precious commodity and customers rave about brands that simply make life easy for them. The most innovative banks are optimising and redesigning their branch network to make the customer experience easy, fast, relevant and personalised. These banks have a laser focus on offering customers an exceptional level of service. Value-add technology is the enabler. They are rethinking format, purpose and location. Best-in-class brands recognise that branch innovation is the crossroads where the physical is fused with digital to create a seamless, differentiated experience. Banks across the globe are experimenting and re-imagining the branch experience. A quick look at how they are doing things gives us a good idea of what’s to come. As the automation of routine and low-value tasks increases, the role of bank staff is becoming more advisory. The focus is on higher value financial services, products, and more complex interactions. Bank associates are increasingly playing a more strategic role in the customer journey as the branch model shifts. And employees need to better prepared, more flexible and multi-skilled to deliver the service and experience customers are looking for. Personalised service, enabled by technology, is top of the customer wish list, according to the Samsung research. For example, 62% of customers would like greeters prepared for their arrival with personalised information. Customer experience leaders are training bank teams to use technology and proprietary data to make service more informed and relevant. 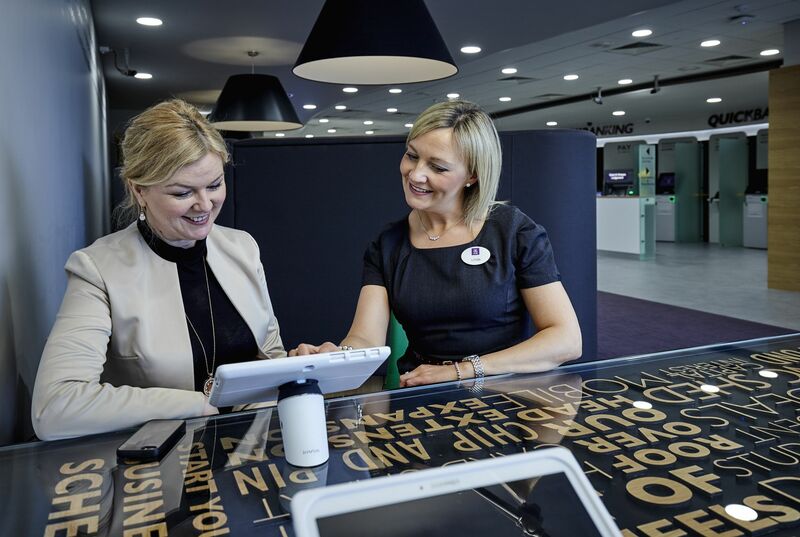 AIB is a great example of a bank placing staff at the forefront of their branch transformation. Redesigned branches introduce soft informal seating areas for customer discussions. Tablets enable staff to hold informed consultative meetings, whilst sharing a screen with the customer. If a more detailed discussion is needed with a specialist, customers can be introduced to an advisor via video conference, ensuring that the relevant specialist is available at all times. Customers also expect accessibility at a time convenient to them so an increasing number of branches are open for extended hours – seven days a week. This ensures that online convenience is replicated in face-to-face engagement in branches. Pop into HSBC‘s flagship New York branch and you might meet Pepper, its humanoid robot banking assistant. The assistant is powered by SoftBank Robotics. Pepper complements the branch team and helps customers with basic questions, product tutorials and information. Staff answer more complex queries. The Manhattan branch currently has around 100 to 200 visitors per day. Pepper’s presence is expected to increase traffic by 20%. Only time will tell if Pepper, which will be joined by a second robot, proves to be a sustainable draw for customers. NatWest has been testing Cora, its ‘digital human’ banking assistant. If the pilot is successful, the assistant could be used in branches to answer basic customer enquiries. Customers will also be able to use Cora at home on PCs and laptops, and eventually on mobiles. The assistant is intended to complement branch, telephone and online services, not replace them. The bank has said that early testing shows customers who don’t use digital services may be more motivated to interact with a ‘digital human’ like Cora. Some branches are being designed as digital booths or hubs. Bank of America is building on its people-less branch concept by rolling out small virtual centres, equipped with an ATM and video conferencing room for customers to talk to specialists in remote locations. An on-site digital ambassador helps to ease customers into the new concept. The centres are around a quarter of the size of a traditional outlet. To attract more digital-first customers, the bank is also leading with digital to test new markets before it opens a physical branch. Using digital channels, customers open accounts, apply for loans, mortgages and credit cards before a local branch opens its doors. OCBC Bank is rolling out its new ‘digital service kiosk’ concept. The Singaporean bank’s Customer Experience and E-business teams analysed branch transactions over two years while designing the kiosks. The machines work like ‘mini branches’ and customers can use them for 15 of the most common over-the-counter services. In May, trials in eight branches showed 10% of transactions that would have been made over the counter were made via the machines. The bank plans to roll out the machines to 35 of its branches by 2020 (currently it has 51 branches). OCBC will upskill all of its bank tellers over the next five years to work as digital ambassadors or advisors as fewer tellers are needed at the counter. The 33rd Capital One Café is opening in Portland, Oregon. Capital One’s concept offers customers and non-customers alike a place to relax with a coffee or a snack. It’s a space for co-working, meetings and special events. Complementary money coaching and financial advice is provided by Café Coaches. ATMs and customer-facing technology is available for digital banking and financial learning and exploration. The bank offers a relationship-based experience in a communal lifestyle space where target customers want to hang out. Some banks are looking to ‘pop up’ banks to expand their retail presence. Samsung has been working with banks to transform the customer experience and provide a new style of branch experience. For example, there is talk of weekend ‘pop-ups’ in shopping centres that traditionally just have ATMS to attract new customers. Or on campuses to engage students as they start their financial journey. These are a new physical channel which offers a differentiated experience and unique route to connect with and engage new customers. The first ‘pop-ups’ could launch real soon. 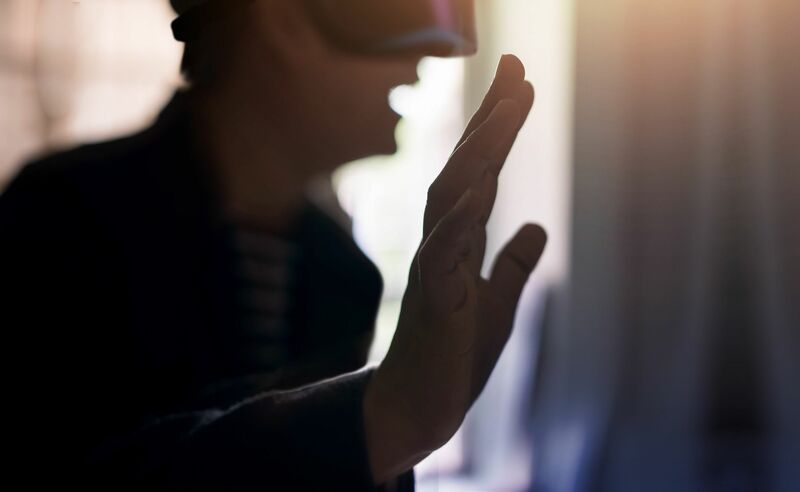 The branch of the future could be in a virtual world where virtual reality (VR) and augmented reality (AR) offer customers a real-world feeling of human interaction. Inside a virtual branch, avatars can present account, product and advisory services using visuals and simulations. ‘Virtual meetings’ in the comfort of home have the potential be as effective as a meeting in a branch. Royal Bank of Canada customers are able to use AR in its mobile banking app to find the most convenient branch or ATM – in a live view of where they are. Directions are superimposed on a streetscape using the camera on a mobile. A really helpful tool to help customers in unfamiliar areas, towns and cities. These are just a few examples of how banks are rethinking the branch model to enrich the customer experience. Like the most innovative retailers, forward-thinking banks are re-imagining branches to offer customers a more convenient, personalised, interactive and engaging experience. Banks can’t close branches all together because customers won’t let them. The pioneers are working out how to meet this demand and deliver a differentiated, superior experience to make the trip worthwhile. Case study – Enhancing the capability of SME relationship managers and their support teams improved business results in two quarters – HSBC business banking.